Skin cancer is the most prevalent of all types of cancer, and early detection is the surest way to a cure. Our dermatology experts can diagnose precancerous skin conditions, such as actinic keratoses, which, if caught early, can be removed or treated to prevent them from becoming skin cancers. Our dermatology providers can also diagnose and treat skin cancers such as basal cell carcinoma, squamous cell carcinomas and malignant melanoma. Once diagnosed, the skin cancers should be treated or removed based on the needs of the individual patient. Mohs is an innovative technique to remove certain skin cancers. The process involves the most minimal tissue removal of any other form of skin cancer treatment, and, for cases in which it is recommended, the success rate is over 95%. This procedure can be very effective on facial skin cancers and other sensitive skin areas since the minimal tissue removal required for the process leaves nominal damage. In addition, Mohs is also very successful on recurrent skin cancers. Although skin cancer tumors are usually visible, tumor cells can remain undetected and eventually cause a tumor to reappear. Mohs surgery can effectively remove these cells with a high degree of accuracy and prevent reoccurrence. 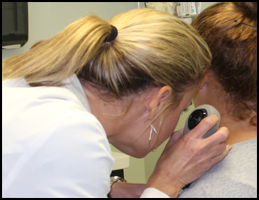 Our dermatology providers can best determine if Mohs or some other form of treatment will be most effective. 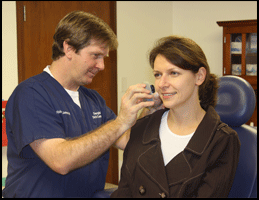 Dr. James also provides Mohs services in Brunswick and Hinesville locations. Visit GaDerm.com for more information. Dermatologists recognize most skin diseases based on their appearance, location on the body and behavior over time. Occasionally, these criteria are not enough and a skin biopsy is taken to be examined under the microscope. This microscopic examination, called Dermatopathology, reveals the histology of the disease and clarifies the diagnosis. 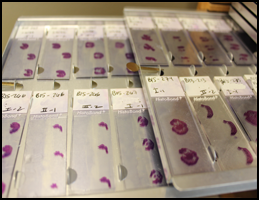 Occasionally, additional testing needs to be performed on skin samples, such as immunofluorescence, electron microscopy or flow cytometry. The majority of moles are non-cancerous and will never be a threat to the health of a person. Any spot or blemish that acts differently than other existing moles may warrant diagnosis by a dermatologist to assure the mole is harmless. The most common methods of mole removal include numbing and shaving the mole or removing the entire lesion and stitching the area closed. 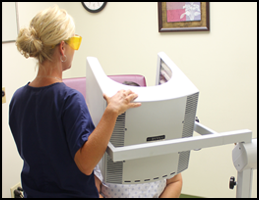 Photodynamic Therapy is an FDA approved skin treatment that harnesses specific bands of the light spectrum in order to target and eliminate acne bacteria. For years, it was clear that direct sunlight could help diminish the signs of acne, but for obvious reasons, sustained exposure to the sun could also do as much damage as good. This is why scientists set to work on pinpointing which parts of the spectrum helped trigger the chemical reaction that was breaking down Propionibacterium acnes. They found that it was visible violet light, rather than ultraviolet light, that was killing the bacteria. This meant that acne patients could be treated with high intensity, narrow-band Blue Light Therapy, without having to worry about the skin damage risks of UV light. PDT therapy is offered in our Hinesville and Brunswick locations. Visit GaDerm.com for more information. 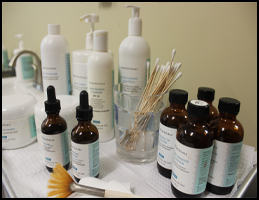 We provide cosmetic services such as Botox®, Dysport®, Restylane, Perlane, and Juvederm. These services are offered in the Hinesville, Richmond Hill, and Brunswick offices only. Visit GaDerm.com for more information. For more information on Botox® or Dysport® (click here) For more information on dermal fillers Restylane, Perlane, and Juvederm (click here).